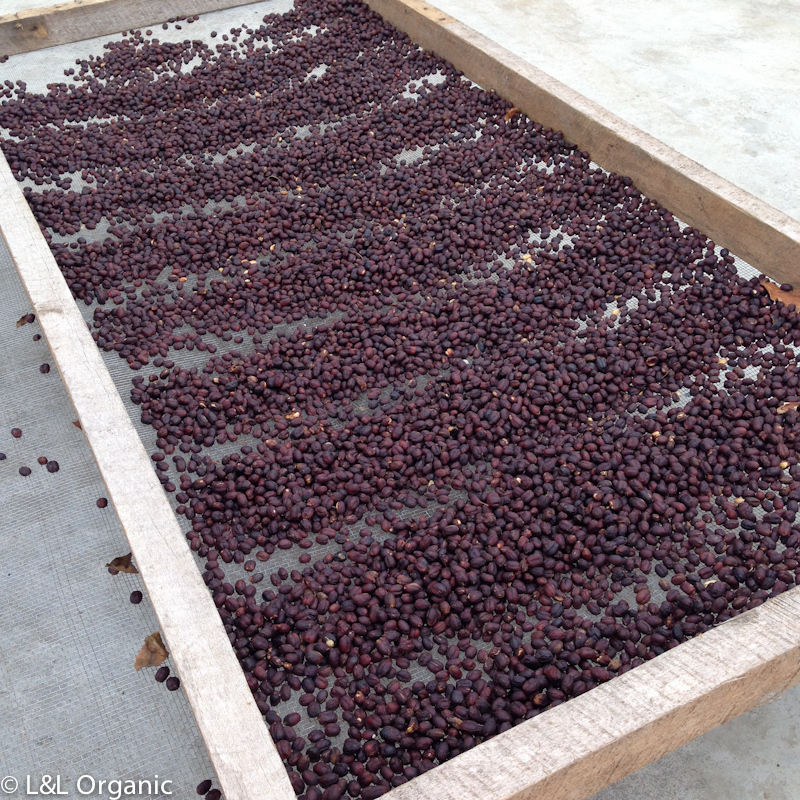 Hand picked ripe coffee cherry are washed and sorted, then placed in full and partial sun on raised beds for drying. Careful attention to time and temperature are necessary to prevent over fermentation and over or under drying. This method requires lots of patience and care to develop the sugars and fruity flavor within the pulp and transfer them to the coffee bean. Cherries are rested prior to dry hulling. 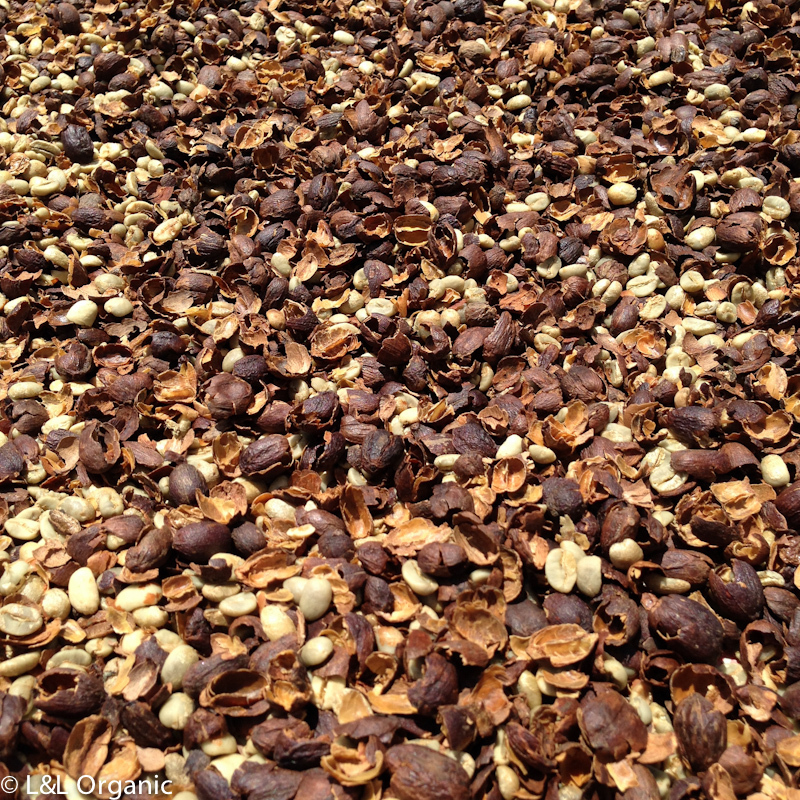 The dried coffee cherry are hulled using a mini dry huller to remove pulp. 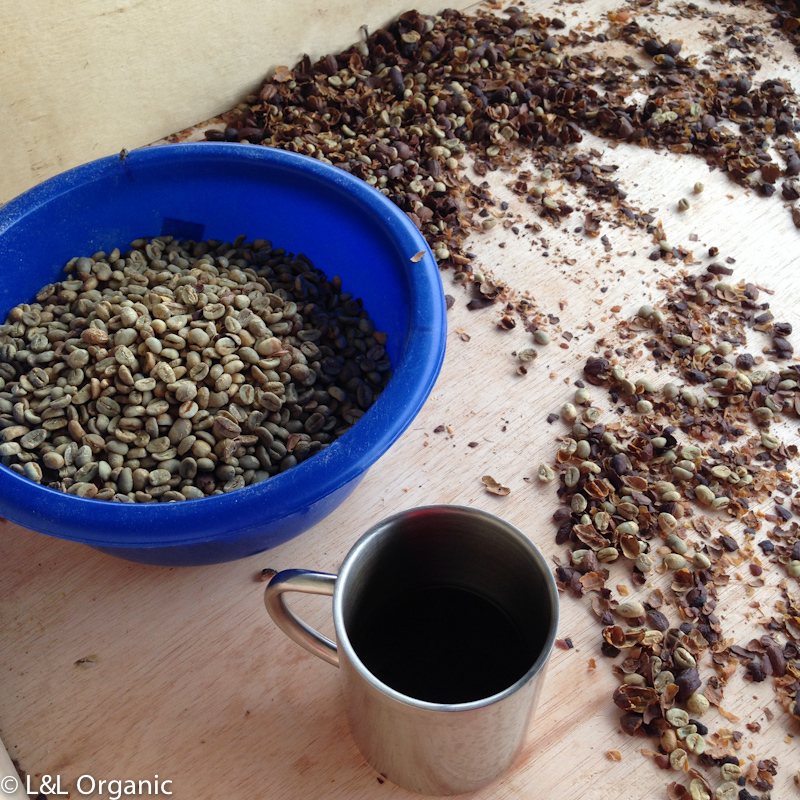 Machine sorting of the beans from the fruity dried pulp with a density table is followed by hand sorting for defects. The dried pulp, known as cascara, makes a delicately fragrant tea. 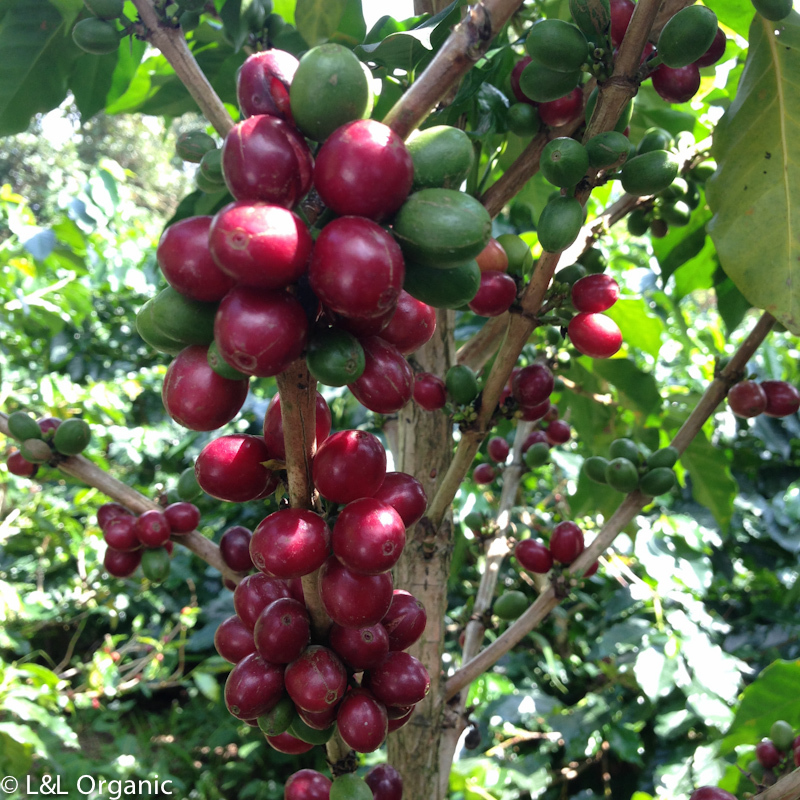 We process all our naturals in high altitude, cooler climate to produce a coffee with balanced tangy acidity, tropical fruit sweetness and a long syrupy finish. Our teas are also available this year. Contact lisa@lisaandleosorganic.com for samples and availability. We offer two lines of natural process arabicas.